Around the League: Overtime changed, coach’s challenge, Schedule released, expansion? 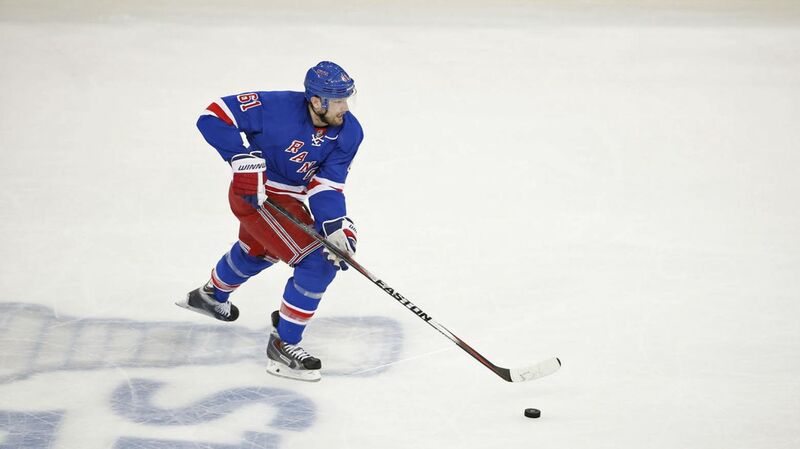 The NHL announced the move to 3-on-3 overtime hockey for the 2015-16 season, which means that guys like Rick Nash will have plenty of room to work with. Photo courtesy of MSG Photos. With the NHL draft looming, and the end-of-season meeting taking place between the league’s GMs, the NHL made some changes to the overtime rules in the regular season, and discussed some other potential changes as well. The first change will begin at the start of next season, with the overtime rules being changed in an effort to make the shootout less frequent. The NHL will feature 3-on-3 overtime play in hopes that more space on the ice and less players will lead to more scoring chances, more odd man rushes, and more goals. The format that will be used in the NHL next season is different than what was seen in the AHL this year. In the AHL, they played 4-on-4 hockey for three minutes, and then switched to 3-on-3 for the final four minutes. The NHL will have just one five minute overtime period, with 3-on-3 played for the entire time. I’m really excited for this. Although I wish that they extended the overtime to seven minutes, or even 10 minutes, 3-on-3 play should be very exciting. One missed check could lead to a breakaway, and good skaters will have a field day with all of the open ice. And can you imagine a 3-on-2 power play? This should definitely help limit the number of shootouts and allow for more goals in the five minute overtime period. The league will also introduce coach’s challenge for 2015-16, which will be able to be used on offsides goals and goalie interference plays. This is a step in the right direction, giving each coach more power than they have ever had before. I can think of one play during the 2014 Stanley Cup Finals where this rule would have helped. Good move NHL. Coaches around the league will have more power in next year, with the league expanding review to a coach’s challenge. Photo courtesy of MSG Photos. The NHL also released the home openers for every team, with the full schedule to be released tomorrow. 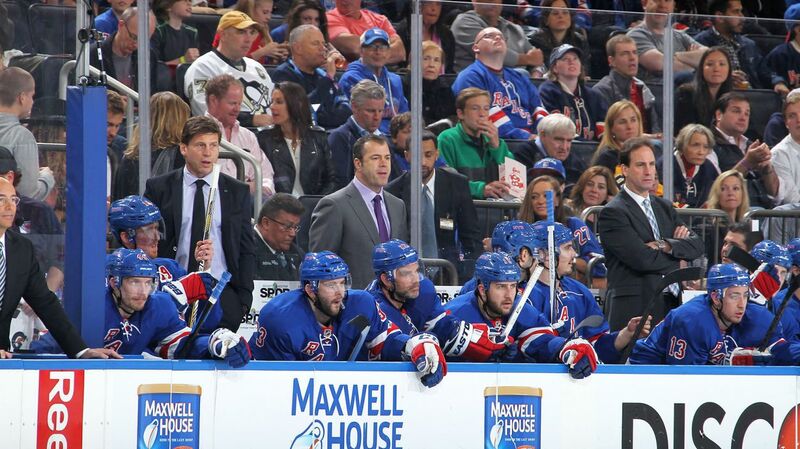 The Rangers home opener at Madison Square Garden will be October 10th against the Columbus Blue Jackets at 7 PM. This is the third game of the season, as the Blueshirts will play on October 7th in Chicago and on October 9th in the first game of a home and home against the Blue Jackets. The rest of the schedule will be released later, and the article will be updated. The last update from today could wind up being a very big change for the NHL. This afternoon, commissioner Gary Bettman announced that the league is opening a formal expansion process, paving the way for new teams to join the league in the coming years. The expansion fee would be at least $500 million. There has not been an expansion team in the National Hockey League since the Columbus Blue Jackets and the Minnesota Wild joined the league in 2000. That was part of a nine team expansion starting in 1991, drastically growing the league and helping launching it to new successes. There has been talks of expansion in the league for quite some time now, and it seems like that just might be a possibility. An ownership group in Las Vegas has already sold over 10,000 season tickets, Seattle is pushing for another professional sports team, and the city of Quebec misses their Nordiques dearly. Expansion for the league is always great. Anything that helps grow the sport of hockey and expands it into new areas is okay in my book. Remember to watch the NHL Awards tonight at 7 PM. Henrik Lundqvist and Alain Vigneault are both up for awards, so tune in! Posted on June 24, 2015, in Rangers Updates and tagged 2015 NHL Awards, 2015 NHL Draft, 2015-16 NHL schedule, Las Vegas hockey, Madison Square Garden, MSG, New York Rangers, NHL Awards, NHL Draft, NHL expansion, NHL Las Vegas, NHL Rumors, NHL salary cap, NY Rangers, NYR, Quebec Nordiques, Rangers, Sunrise Florida. Bookmark the permalink. Leave a comment.